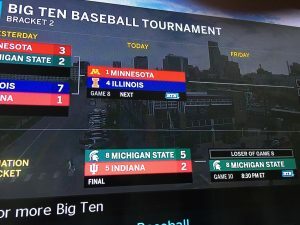 The following took place between 4:02pm and 5:34pm in an Elimination Game in the 2018 B1G Ten Tournament. 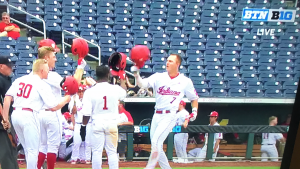 Indiana is showing signs of life for the 1st time all day!#iubase scores their first run of the day on an RBI single from Matt Lloyd after a pair of walks. They trail MSU 5-1. Tommy Sommer gets the Spartans to go down in order in the top of the 9th. 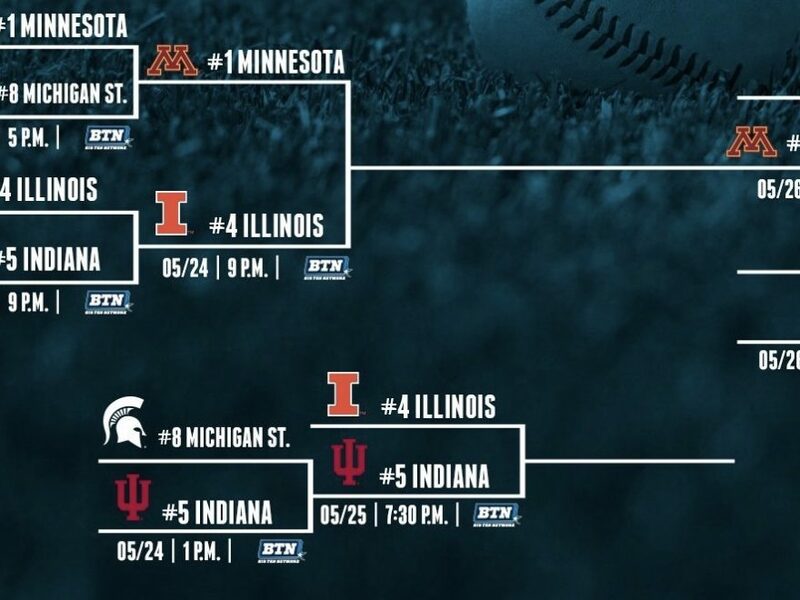 #iubase is down to their final 3 outs in the Big Ten Tournament. 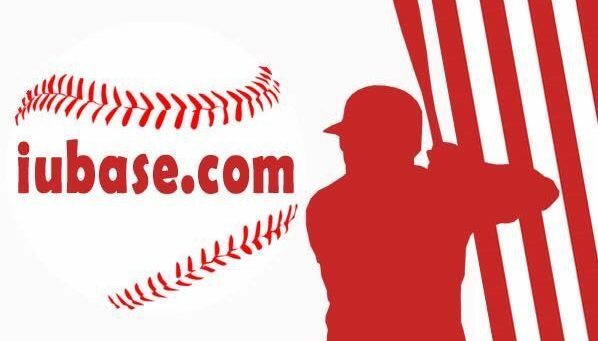 They'll send Bradley, Houston, and Kaletha to the plate trailing 5-2. And just like the night before we were left asking ourselves ‘What just happened?’ But this time for all the RIGHT reasons. A 3 run, game tying, down to your last out in a tournament, jump you out of your seat and yell, bomb happened. 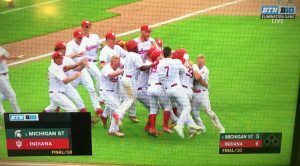 That was the blast and the bloop came from Wyatt Cross the next inning to win it.